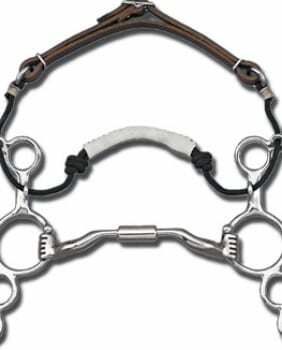 The 04 mouthpiece has a very small port, offering a minor amount of tongue relief to the horse. 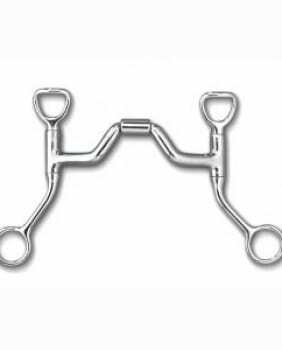 It is a snaffle-like mouthpiece, but with some tongue-relief. 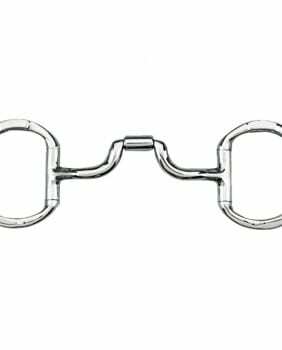 This mouthpiece is my first choice for colt-starting or for a snaffle bit, but the 3-ring still allows you to ride more off nose pressure. 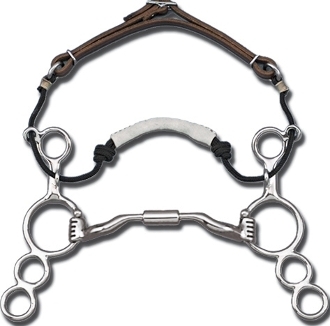 It is also useful for trained horses that are nervous, sensitive, spooky or cannot tolerate the rider’s hands. 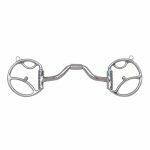 89-31044, 31045, 31047 Stainless Steel Myler 3-Ring Combination Bit Sweet Iron Low Port Comfort Snaffle mouthpiece with Copper Inlay (MB 04, Level 2), with a 6″ Shank. 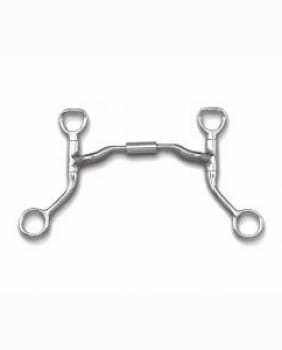 This mouthpiece is made of polished Sweet Iron which naturally oxidizes or rusts. 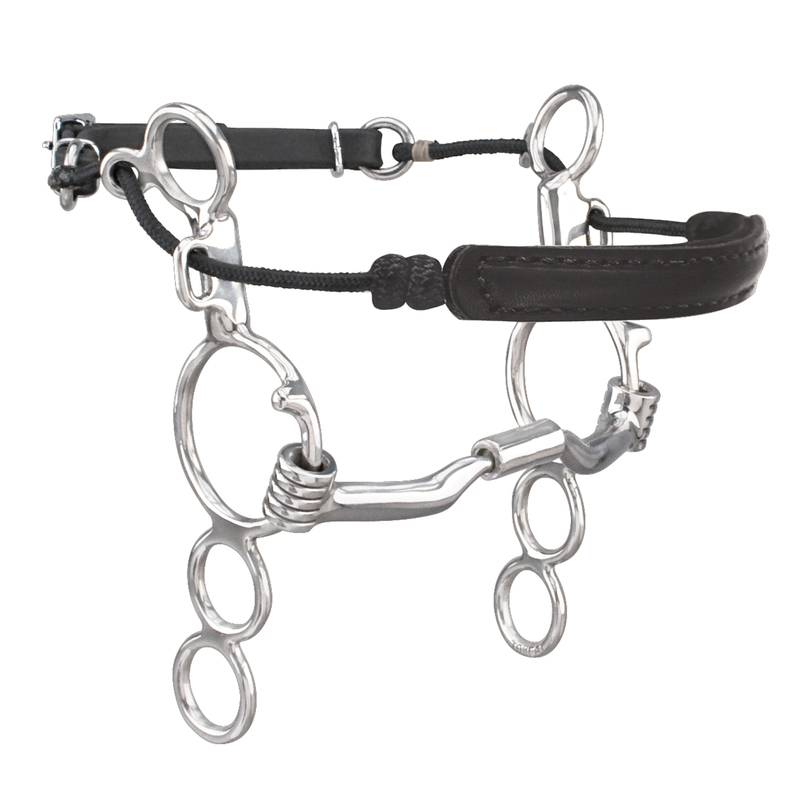 Now comes with black leather noseband and synthetic black curb strap. FREE SHIPPING to the US | Coupon Code: Spring19 6 Days 13 Hours 49 Minutes 10 Seconds Left!